The sprint cars take the green flag for their heat race. Winter. I hate winter!! I don't ski, I don't snowshoe, I don't really like being out in the cold. But in the last couple of years I have found that being outside in sub-freezing temperatures isn't so bad if I also get to photograph race cars. 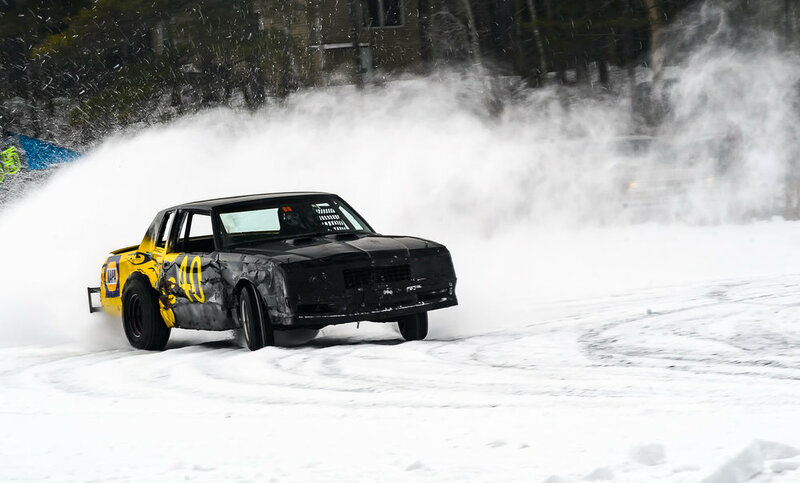 Last winter I found the Lakes Region Ice Racing Club (LRIRC) on facebook and, on a whim one morning, made the hour long drive to Moultonborough to check out what they do. I loved it so much that I knew that I wanted to get up there at least once this winter. Well, Last Sunday (Feb 4) I finally found some time to spend the day "trackside" on Lee's Pond. Right after the New Year we were hit with a long stretch of days with sub-zero temperatures. 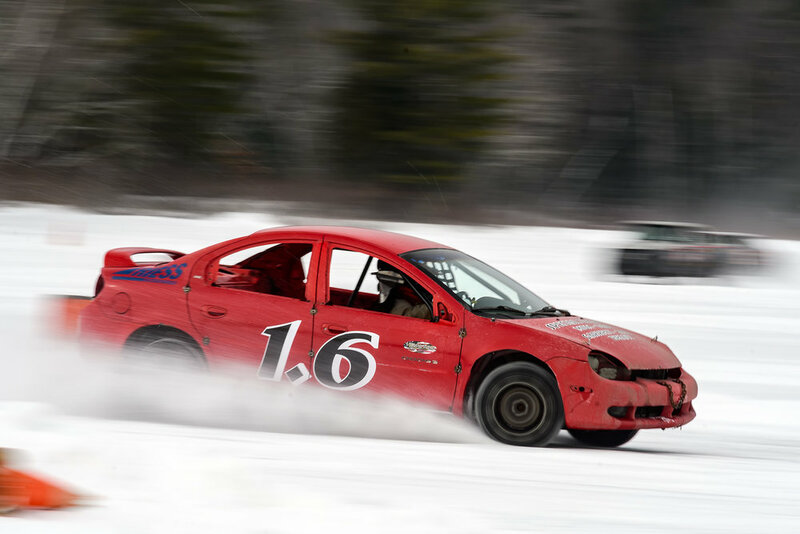 I knew at that time that the LRIRC would be racing once the ice got thick enough on the ponds. 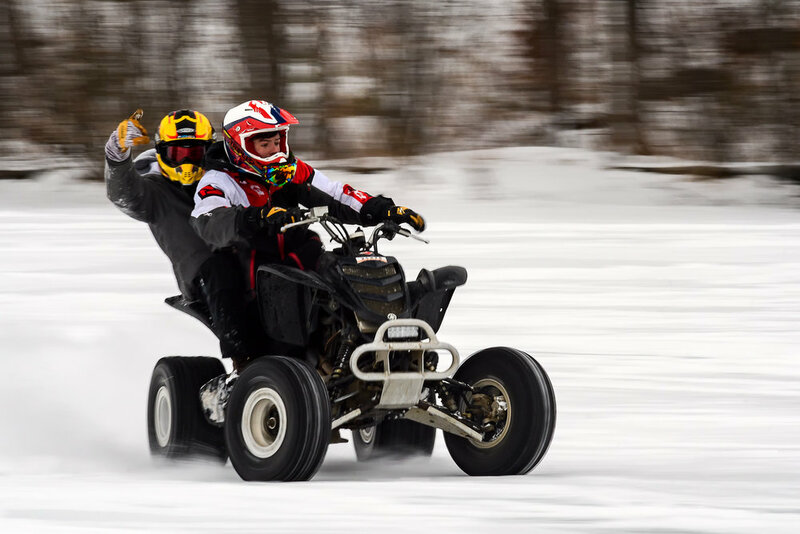 The LRIRC races every Sunday (and some Saturdays) from January to March, or as long as the ice is safe. Modified points leader Jack Cook, sliding through. On the mornings of race days the organizers check the condition of the ice and then broadcast out online whether or not the racing is on for that day. So, if you want to check out the LRIRC I would recommend following their facebook page to stay in the know. 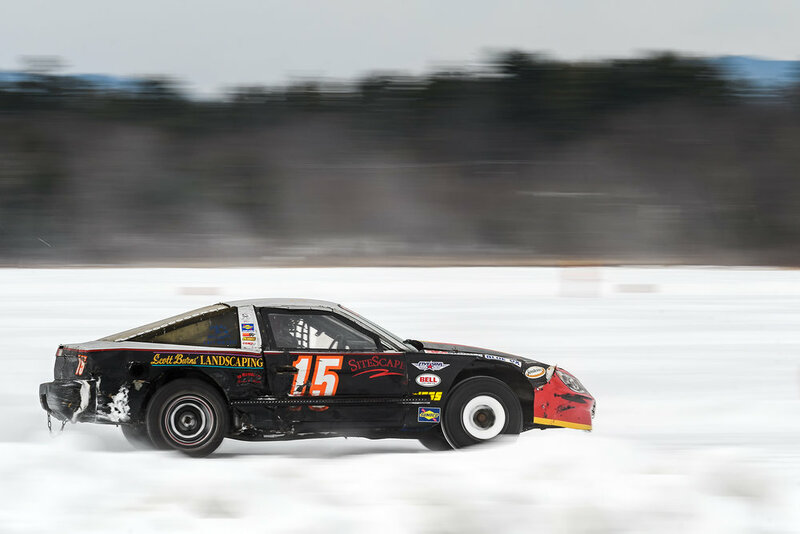 Here is a small gallery of some of my favorite images from my day taking in the ice races with LRIRC below. Click here to purchase downloads of any of these images. If you don't see your car please contact me as I probably have at least one or two images.